I finally tried out my peppermint chocolate soap recipe today!! The recipe may need a little tweaking, but overall it was pretty successful. I’m not going to post my exact recipe because I have spent a lot of time playing with it and making it my own, but you can use any soap recipe you like for this project! http://www.soapcalc.net is a great place to start if you don’t have a recipe. 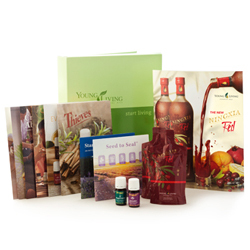 You can simply enter in the oils you plan on using, the water percentage you want, and what percentage you want it superfatted at. I wanted this soap to be really rich and moisturizing so I superfatted at 5%. What specific oils you use will be determined by the recipe you follow, but I made a point to use cocoa butter as one of my oils to make it a really thick and creamy soap as well as give it a deep chocolately scent. So once I had warmed up my oils and cooled my lye mixture down I began to blend them with my stick blender until they weren’t quite at trace yet. At that point I added in several handfuls of crushed peppermint leaves I had picked from our garden and dried. I blended in the peppermint leaves and then added a large spoonful (probably 2 table spoons) of cocoa powder. That is when the peppermint chocolate soap turned to peppermint fudge soap. Let’s just say a little bit of cocoa goes a long way…. It wasn’t bad or anything, just a LOT of chocolate. 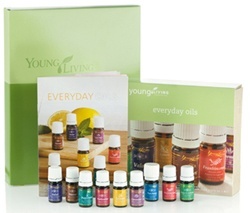 I added about 20 drops of Young Living peppermint essential oil and finished blending to trace. I poured the mixture into a mold where it will stay insulated with a fleece blanket until I cut it up tomorrow. It’ll need to cure for about a month before I use it. Too much cocoa!! The cocoa butter already gives it a chocolatey scent, the addition of cocoa needs to be small because not only did it make the whole kitchen smell like a fudge shop, but it turned the soap almost black. I was hoping for a light brown color so that wasn’t quite what I was looking for. Thanks for reading! Tomorrow we’ll be talking about how to make easy homemade hair products to add volume to thin hair. I expect all my southern girls to show up! !